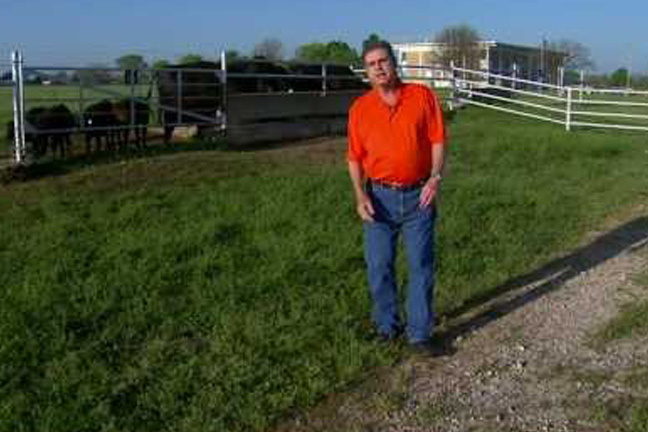 In the latest edition of the Cow-Calf Newsletter, Glenn Selk, Oklahoma State University Emeritus Extension Animal Scientist, reviews an often overlooked topic when it comes to recovering from a disaster. The devastating wild fires that have charred nearly 80,000 acres in Oklahoma in the last week have given cattle producers extra worries. Cleaning up after a wildfire is difficult enough. Losing valuable cattle and hay brings additional financial hardship to the situation. Cattle loss can occur in several scenarios. Livestock may be killed, lost, or stolen during a stormy situation. An accurate accounting of livestock and property is essential to a cattle operation's disaster preparedness. Keep a CURRENT inventory of all animals and the pastures where they are located. Individual animal ID tags on all animals have several other purposes, but can become extremely valuable if cattle become scattered or even stolen. During the upcoming fall calving season, update these records frequently to reflect the newborn calves that are arriving. If these records are computer based, consider having a "back-up" copy stored at a neighbor's or a relative's house. Hand written records can be photocopied and placed in two different locations. We do not like to think about the “unthinkable” situation of a direct hit on our home or livestock buildings, but tornados and wildfires occasionally do destroy these dwellings. After the disaster is over, that second set of records could prove to be very inexpensive and very helpful.